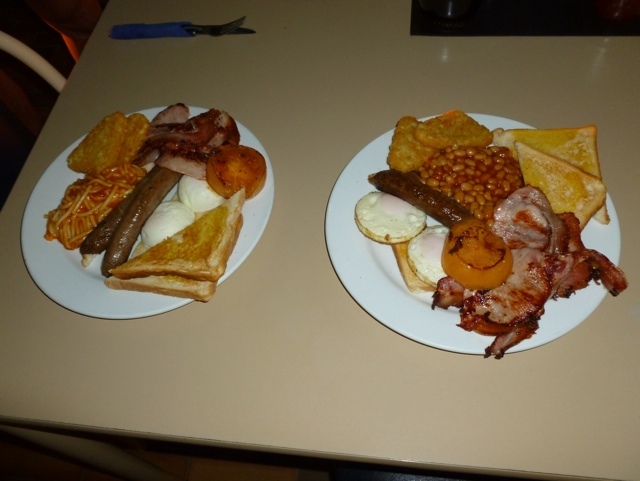 on the Stuart highway if you order the biggest breakfast they will ask – ” will that be with baked beans or spaghetti ” – the only optional Alternative This is not cafe country so forget all about the flat white of long black or whatever is your favorite from home. This example was called the ” Truckies Special” – it helps explain why your average Assy Truckie could be a stand in for Austin powers alter ego FAT B. Too many calories to be consumed wrestling with the wheel on dead straight roads that go more mile after mile. But we can both confirm that these road train drivers have been very kind and considerate to us cyclists as They thunder past giving us all the room the road can take. Feel safer here with trucks than on our sh10.